Evan has been dedicated to the financial industry since he was a freshman in high school, when he started interning with his father in the Investment Banking Division of a Jersey City firm. It was there that his knowledge of stocks, bonds, and mutual funds quickly grew. Tying that into the desire for helping others, Evan found his career path of providing individuals with comprehensive holistic planning - which he continues to be passionate about to this day. Evan’s mission is to educate and organize others so that they can successfully move towards an improved level of overall financial balance. He has been with CFS since 2014 and works hard every day, demonstrating his strong work ethic that contributes to the firm. Evan has faced many obstacles over the course of his life, and each one has carried its own inner lesson. He uses those lessons to exhibit his belief that if people are truly focused on their future goals and objectives, they will succeed greatly, both personally and professionally. 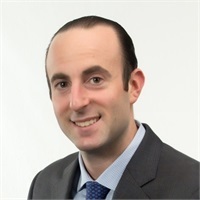 Evan is on the board of The Jewish Federation of Northern New Jersey and is a member of Plaza Networking Association. He extends his hand to the community as he is involved in Make-A-Wish NJ via CFS, Ronald McDonald Foundation, and Autism Speaks. In addition to being a hard worker in his career, Evan works hard to be the best father that he can be to his son, Ryan, and daughter, Brooke. He enjoys every moment he can get to take his kids on adventures and engage in activities with them. Some of Evan’s personal hobbies include basketball, tennis, cooking, and traveling. Anything competitive, count him in.